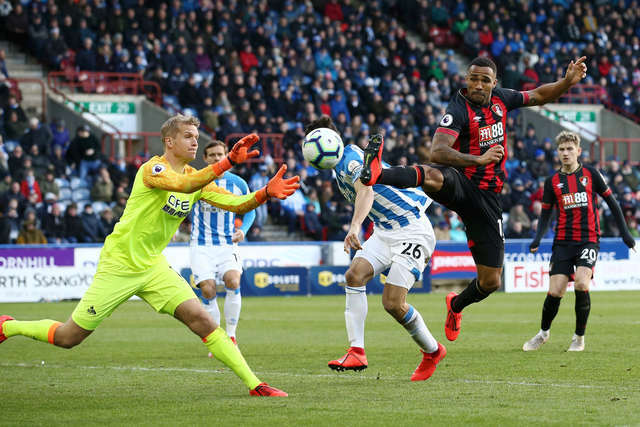 Callum Wilson chests the ball in against Huddersfield. 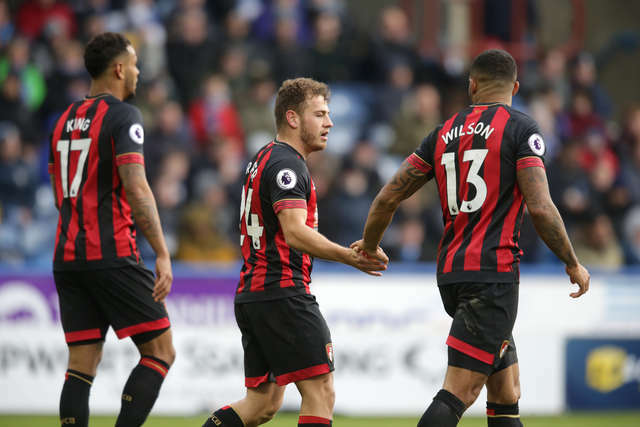 AFC Bournemouth shrugged off their recent away struggles with a commanding 2-0 win away at bottom club Huddersfield Town on Saturday. 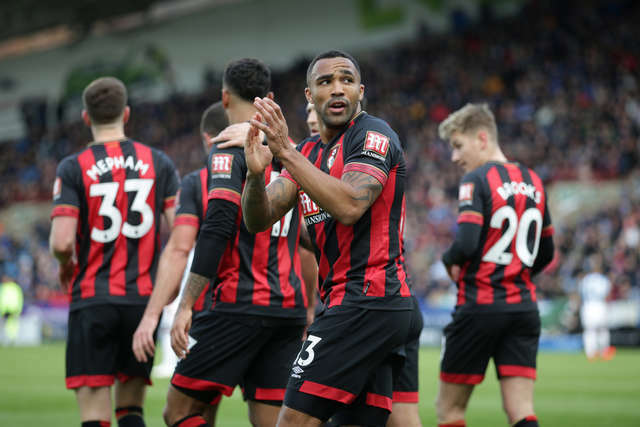 Callum Wilson signalled his return to action by capping a slick Cherries attack with a first-half opener, one of a series of good forward pushes from the away side in the first half. 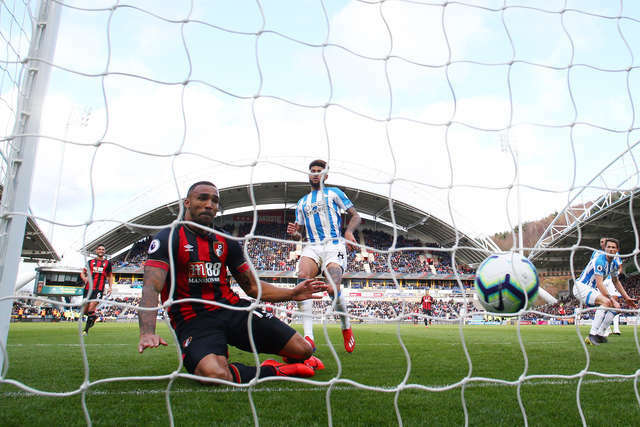 The Terriers looked to bite back in the second period but the Cherries strengthened their position with a second, Wilson this time the provider as he laid the ball on a plate for partner in crime Ryan Fraser to finish. 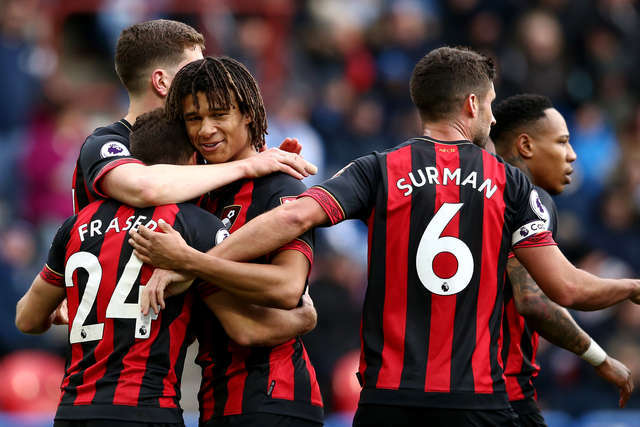 Bournemouth comfortably saw their away success home and could have scored more in the closing stages, though the buoyant away contingent were happy enough with the endeavours and their first away points since October and the win at Fulham. 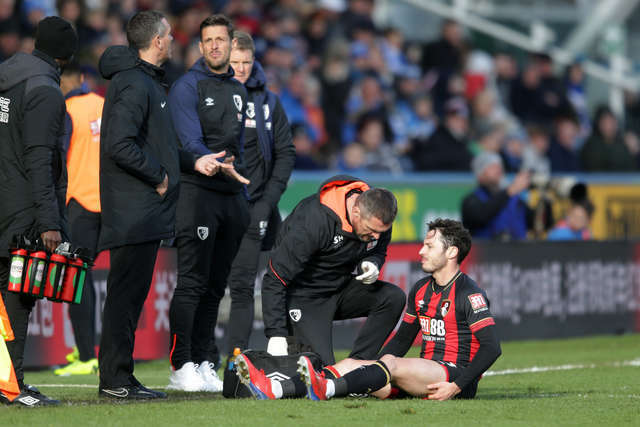 The big team news for the Cherries fans in West Yorkshire came with the inclusion of top scorer Wilson following six weeks out injured and Jefferson Lerma back after serving his suspension. 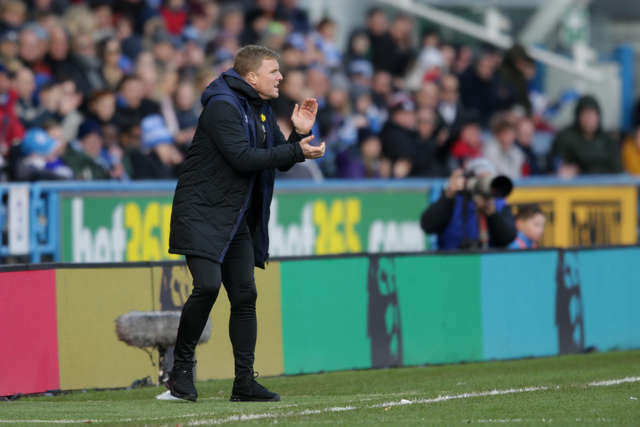 In terms of shape it was a return to a back four in defence as Adam Smith and Charlie Daniels filled the full-back roles. 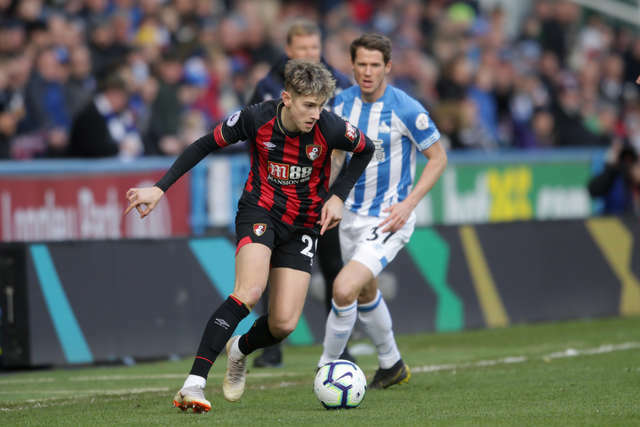 The match kicked-off in bright sunshine following a morning of rapidly-changing weather, an early Cherries corner seeing Fraser tee up Brooks, but 12 yards out the 21-year-old was unable to connect cleanly with his effort. 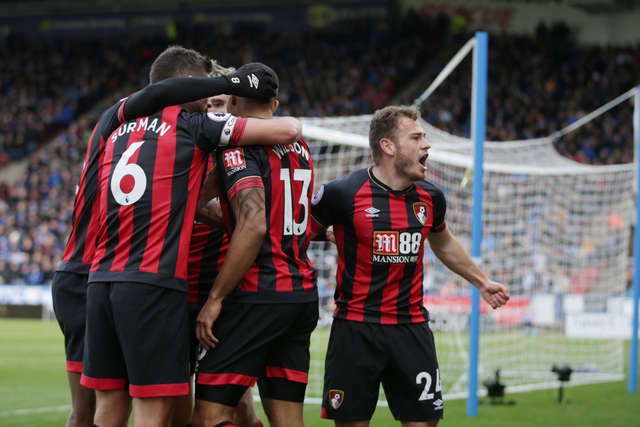 An Aaron Mooy free-kick was beaten away by Artur Boruc, the game open as the sides looked to suss one another out, while at the other end Wilson darted towards a Fraser centre but couldn't quite get there. 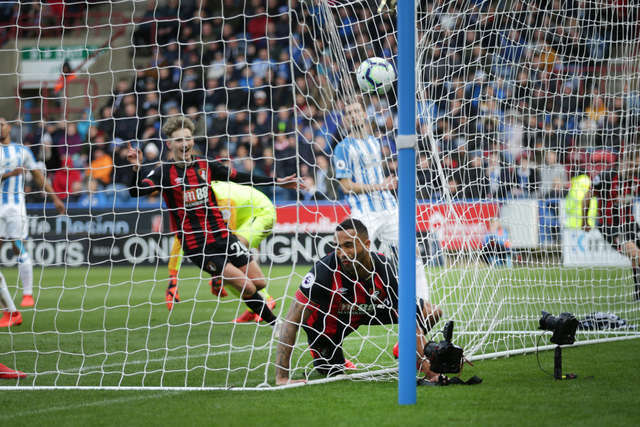 Though the front man did have the best chance so far when he drilled a low shot at Jonas Lossl's legs after Fraser had again freed him. 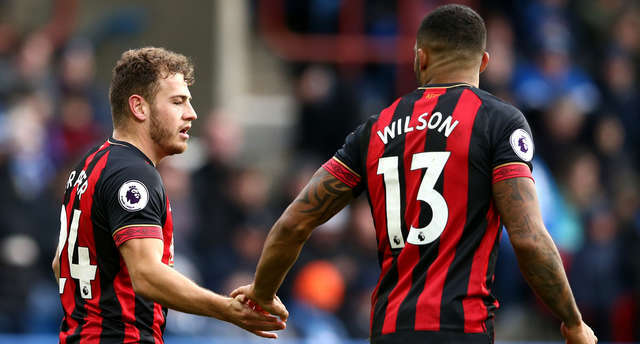 After 20 minutes, Wilson made no mistake to get back amongst the goals with the game's opener. 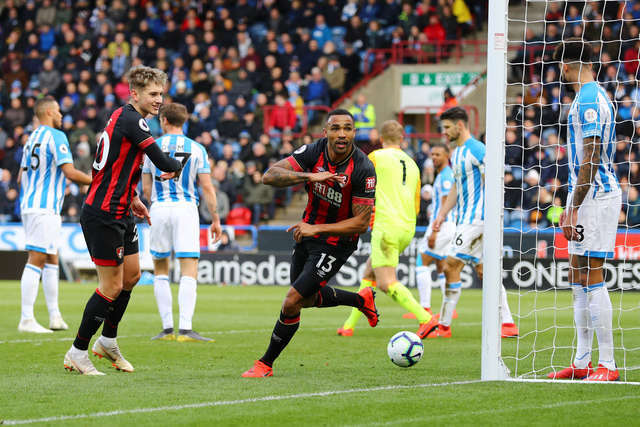 It was a fine Cherries move, Brooks finding a pocket and flicking a ball through to Fraser whose whipped-in ball invited Wilson to convert from just a couple of yards out, the England international connecting firmly with his chest for his 12th goal of the season, then wheeling away in front of the away support. 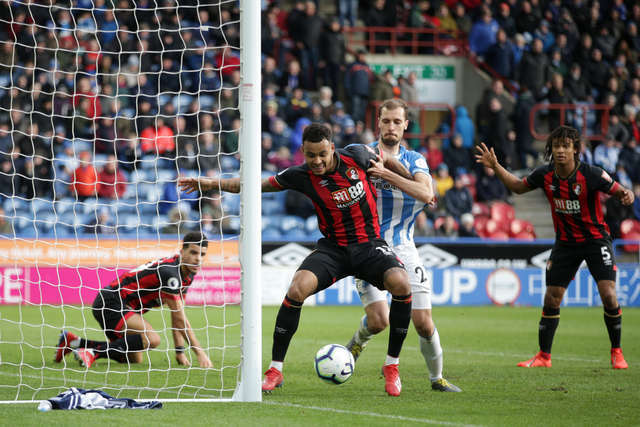 While the visitors looked to consolidate their ascendancy, Joshua King firing a volley wide from Brooks' centre, they were also being helped by Huddersfield's repeated profligacy as they entered the final third. 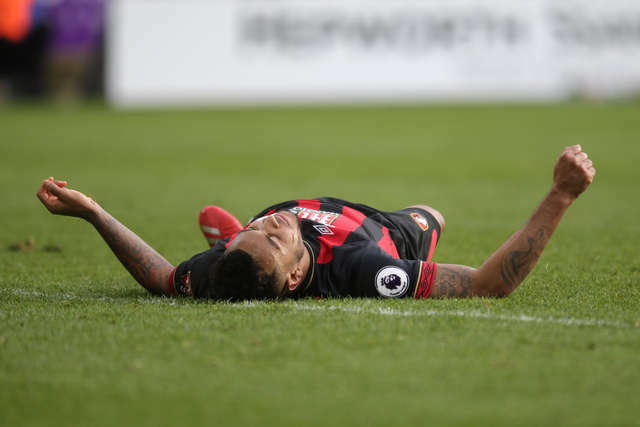 With recent weeks seeing a slight improvement in the injury situation at Vitality Stadium, Adam Smith pulled up clutching his hamstring just ahead of half time and was immediately replaced by Nathaniel Clyne. 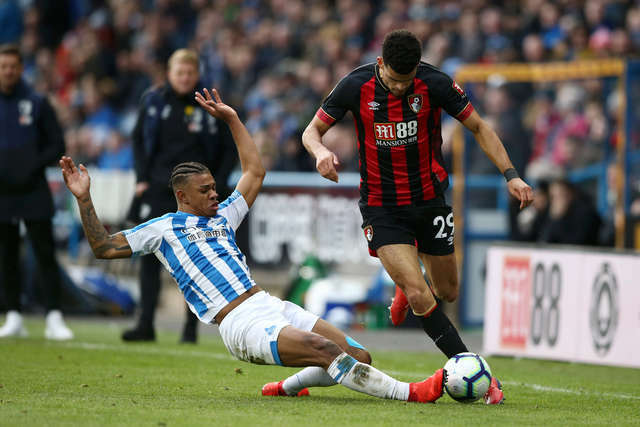 After returning from the interval King almost found a Bournemouth second, breaking into the box and looking for Wilson, Mathias Jorgenson deflecting into his own side netting. 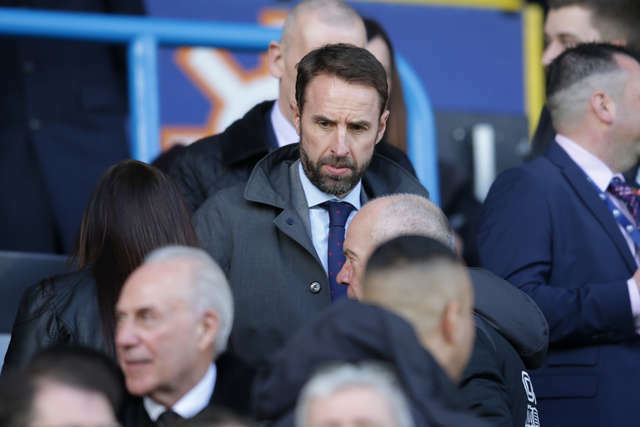 Past the hour mark Brooks was wincing on the turf and was soon substituted with Dominic Solanke entering the fray. 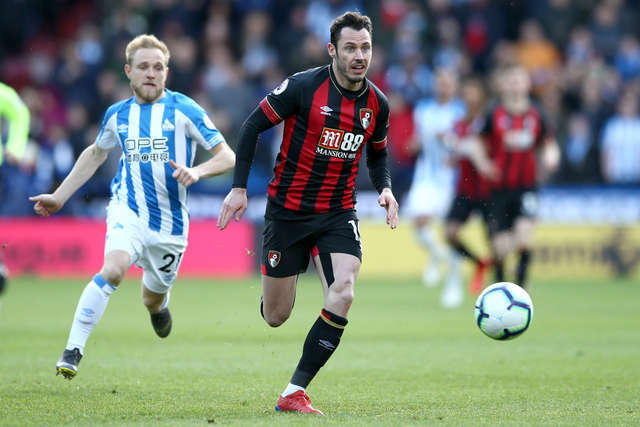 Moments later, however, the lead was doubled, with Wilson and Fraser swapping roles - the striker got in behind the Terriers defence but was shown away from goal, only for an intelligent cut-back to find Fraser who coolly slotted home unmarked eight yards from goal. 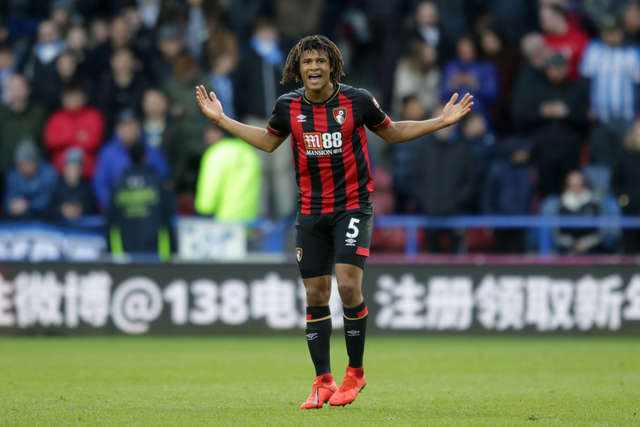 The home crowd were audibly flattened by the Cherries' second, and Solanke got to the byline and presented Clyne with a chance, but the on-loan man could only find the bowels of the home end from 12 yards out. 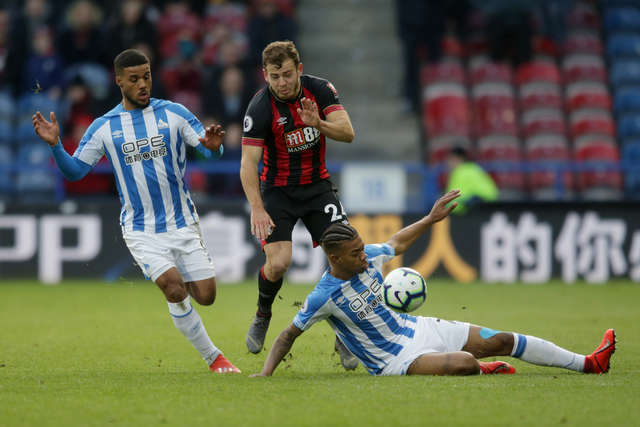 Young Terriers substitute Aaron Rowe was welcomed on but soon lofted an aimless ball into the box, a feature of the hosts' attacking play, and with the clock winding down it was the away fans loudest and they must have thought they'd be cheering a third when a free-kick produced a goalmouth scramble that King couldn't turn in. Live-wire Fraser then swung in yet another delicious ball the flying King meeting the ball on the volley but diverting it just wide. 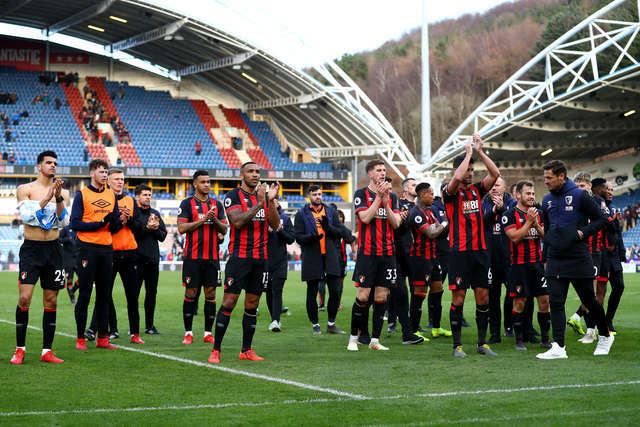 The win was seen out though, with the bonus of a lean sheet as the Cherries moved onto 37 points in the Premier League table. 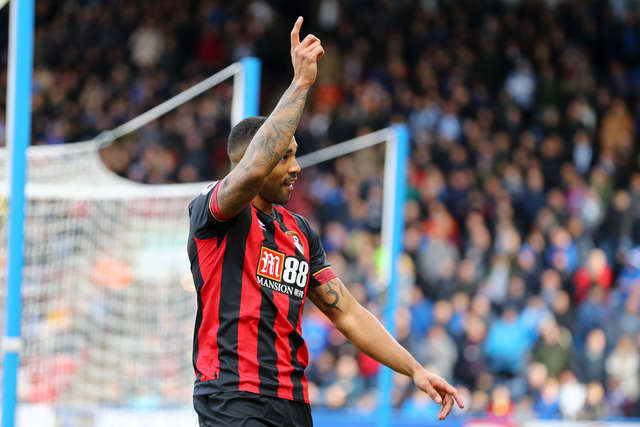 Having not played since mid-January and the win over West Ham, Wilson looked sprightly from the off, finding space in characteristic fashion and he perhaps should have done better with his big shooting chance in the opening 15 minutes. 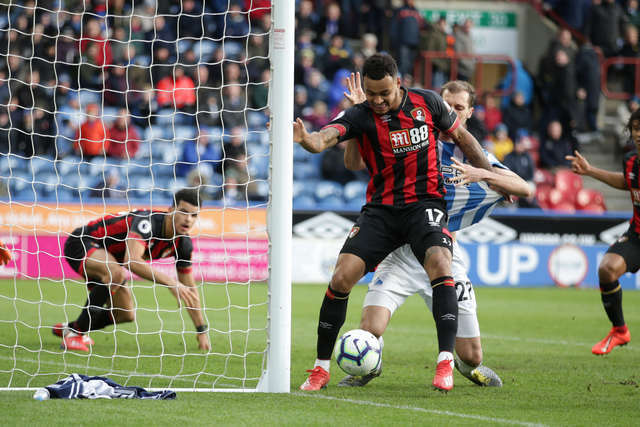 However, Wilson the poacher was back in evidence as the striker saw where the danger was to be found in the Terriers' backline five minutes later, his run freeing him of defenders, the goal signalling not just his return but the rekindling of his near-telepathic relationship with Fraser who set him up. 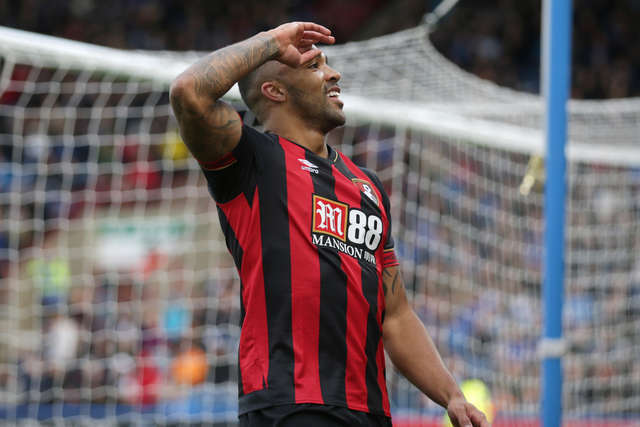 That link displayed again after the break when Wilson repaid the favour with an assist for the Scot. 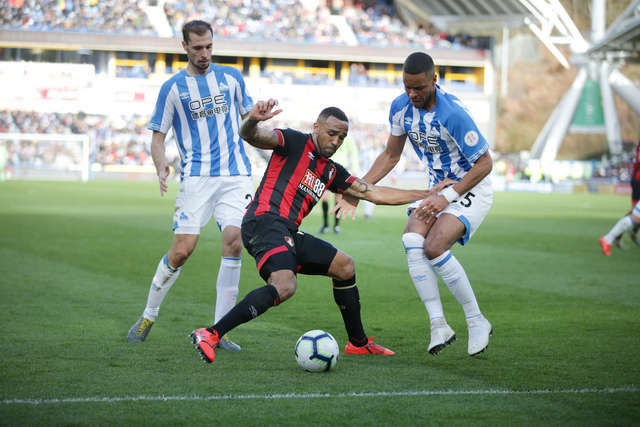 A feature of the Cherries' play at the John Smith's Stadium was the quick attacking thrust which had been less in evidence during the side's recent struggles on the road. 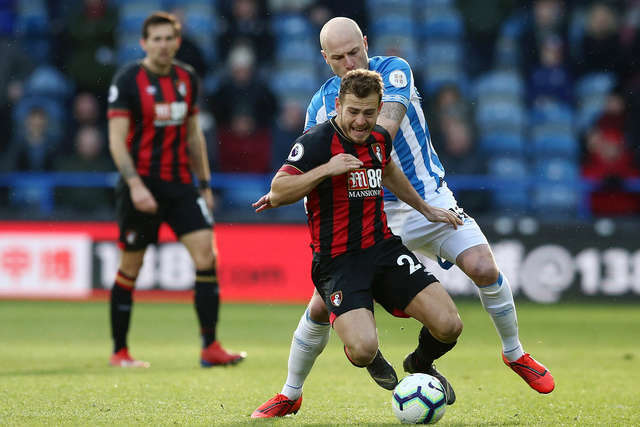 On ball recovery the ball was quickly at the feet of Fraser or Brooks and with Wilson and King ahead of them pulling Huddersfield markers hither and thither Bournemouth's threat was regular and considerable.